Anyone else bought the Laneige Mother's Day Set? 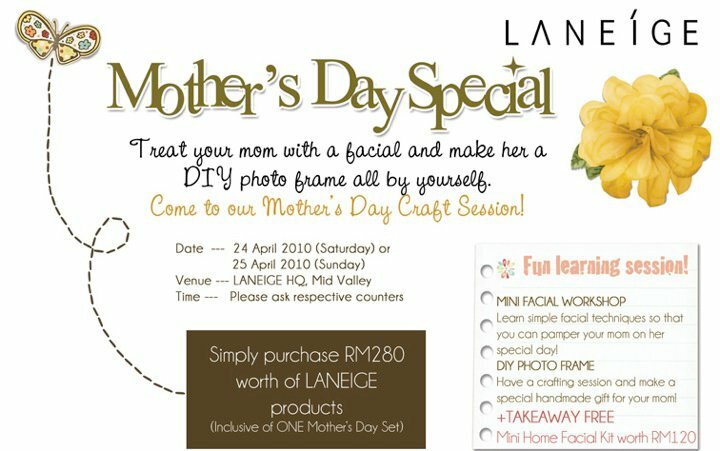 I bought mine last weekend and I found out that the date & time slots for the Mother's Day Craft Session is fixed for each Laneige counters. My session is on Sunday morning, anyone else going to this session as well? can't wait to learn the basic facial techniques and bring back a DIY Photo frame for my mom. 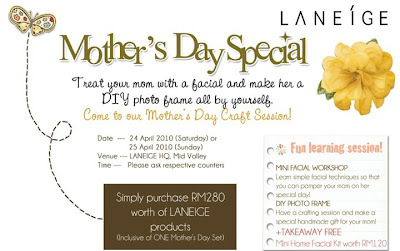 *note the Mother's Day set is to be collected on the workshop day. so must buy according to counter to go to the selected session miu?